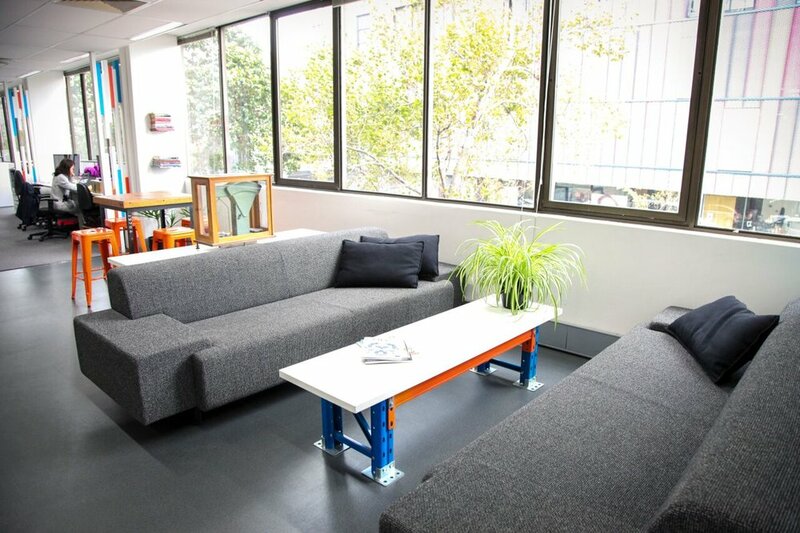 deskworx is located one floor up (accessible by lift or stairs) on the corner of Wellington Street, St Kilda Junction. Look for the coloured ‘Lego block’ building with Icon Coffee underneath and we’re right across the road. Tram numbers 3, 16, 64 & 67 run through the St Kilda Junction in front of our doors, and there is plenty of free one-hour parking available on Wellington Street and two and four hour parking on surrounding streets. We are also a short walk to the Windsor train station. call Ann Tanner on (03) 9380 7721. Thanks for contacting deskworx and we'll be in contact with you shortly. The next greatest thing in co-working Southside Melbourne is here. 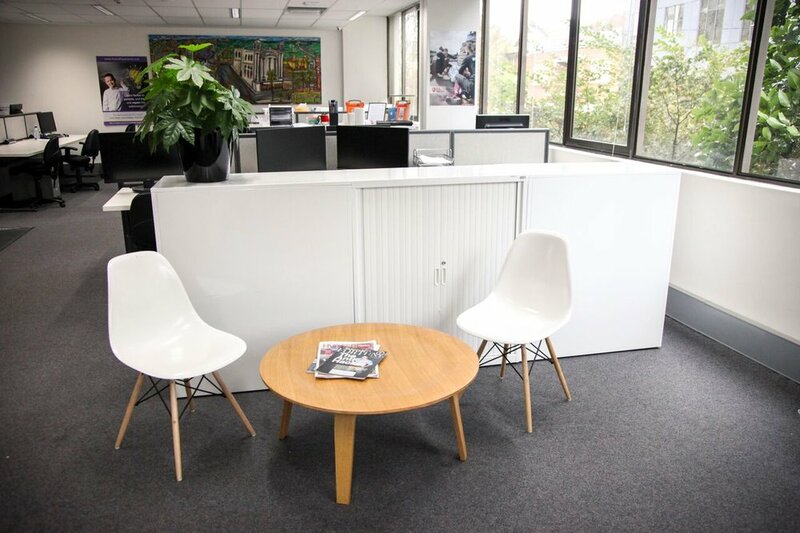 Gathering like-minds at the former SEEK offices on St Kilda Junction, deskworx offers innovators a flexible, highly professional workspace at the gateway to Melbourne’s biggest corporate boulevard, St Kilda Road, and walking distance from cosmopolitan Fitzroy Street and St Kilda Beach. Mixing creativity with corporate savvy and loads of light-drenched space, deskworx is the kind of work environment that inspires and shapes to your individual business personality. 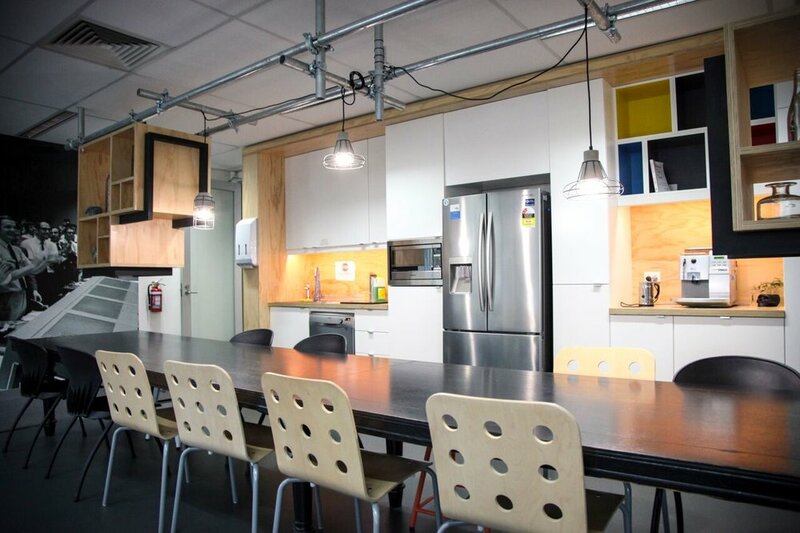 Our co-working enables expansion and retraction as your business evolves, while keeping operational costs at a minimum; not to mention the vibrancy and networking that only a co-working space provides. Deskworx offers a professional, friendly, and productive workspace for start ups and freelancers to develop, network and efficiently grow their businesses. We do this by providing a best practice work environment including high-speed internet, comfortable meeting spaces, office equipment and a membership process which ensures members will be working alongside like minded people. That means you just plug in your laptop or desktop computer and you’re ready to roll. Great companies that have made deskworx their home. How much does it cost to co-work with us? If you have a larger team or exacting/unconventional needs, don’t hesitate to ask us. Chances are we have the square, round, triangular or oblong-shaped pegs needed to fit your requirements.